Thomé, Francis. 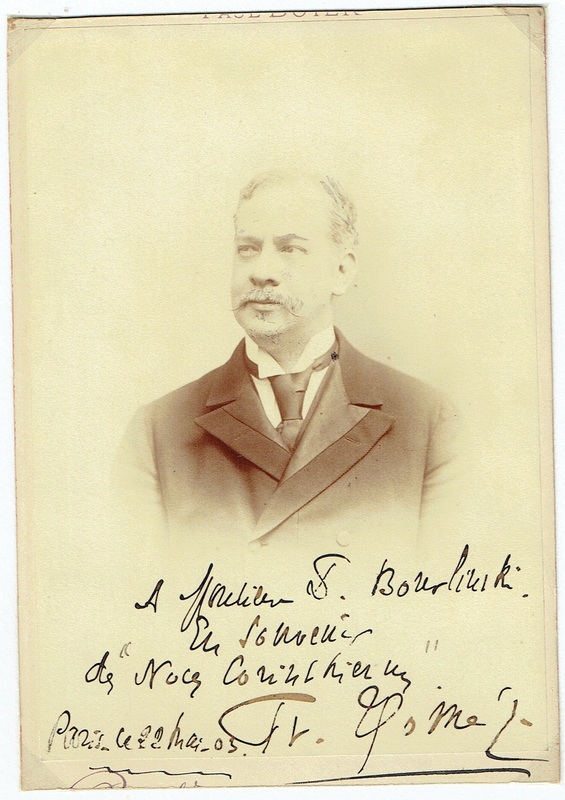 1 signed cabinet photo, inscribed to violinist S. Bourlinski, slightly trimmed, not affecting inscription, Paris May 22, 1903 4.25x6. 2 duplicate sepia photo cards, Collection Félix Potin 1.75x3. Home > Previous Auctions > Ephemera Test > Thomé, Francis. 1 signed cabinet photo, inscribed to violinist S. Bourlinski, slightly trimmed, not affecting inscription, Paris May 22, 1903 4.25x6. 2 duplicate sepia photo cards, Collection Félix Potin 1.75x3. E00889. Thomé, Francis. 1 signed cabinet photo, inscribed to violinist S. Bourlinski, slightly trimmed, not affecting inscription, Paris May 22, 1903 4.25x6. 2 duplicate sepia photo cards, Collection Félix Potin 1.75x3.